Immaculate, Clean & Spacious Unit Ready to Move-In Immediately! 2815 SE 16th Avenue has a Walk Score of 0 out of 100. This location is a Car-Dependent neighborhood so almost all errands require a car. FRESHLY PAINTED THROUGHOUT. BRAND NEW TILE FLOORS AND SOME UPGRADES THROUGHOUT AS WELL. VERY BRIGHT UNIT. FAST ASSOCIATION APPROVAL AND YOU'RE IN. LOTS OF CLOSET SPACE. UNIT IS ON second floor. Explore how far you can travel by car, bus, bike and foot from 2815 SE 16th Avenue. 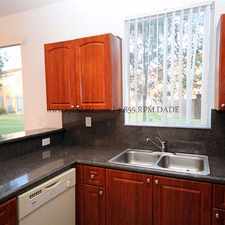 2815 SE 16th Avenue is in the city of Homestead, FL. Homestead has an average Walk Score of 36 and has 60,512 residents. Fascinating 2 Story Property. Pet OK! House For Rent In Homestead. Parking Available! Beautiful 4/2 1/2 Two-story Home In Keys Gate. Cute And Cozy 2 Bedroom Unit In Venetial Groves! This 2/2 Condominium Is Ready To Move In. $1,100/mo, 2 Bedrooms - Come And See This One. 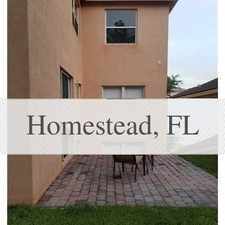 Condo For Rent In Homestead.